Children’s rights: Every day and everywhere is focused on the concept of children’s rights and how these rights are promoted and protected, with a particular focus on the United Nations (UN) Convention on the Rights of the Child (1989) and the UN Convention on the Rights of Persons with Disabilities (2006). As parents/carers and educators, becoming more familiar with these UN Conventions is a suitable beginning for increasing understanding about the nature of children’s rights and their practical implications. 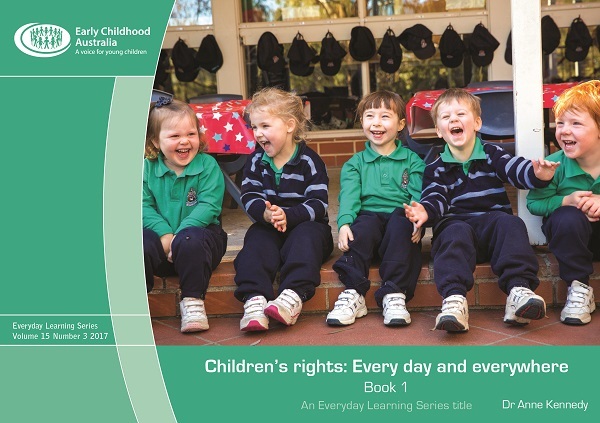 Children’s rights: Every day and everywhere—Book 2 available here. To subscribe to the Everyday Learning Series, click here. teaching and learning with children about rights and responsibilities.